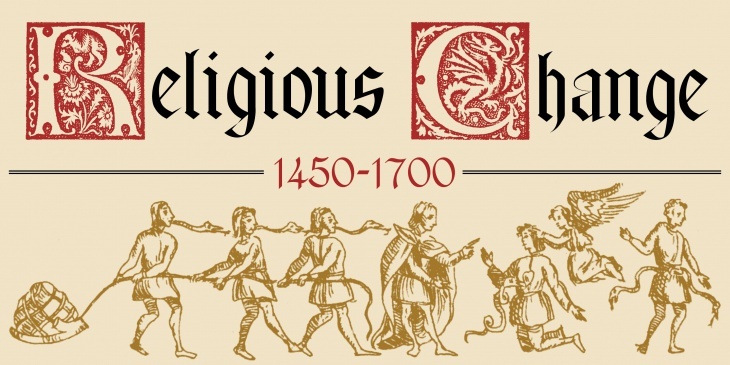 The Newberry Library in Chicago, Illinois announces the public launch of Religious Change, 1450 – 1700, a multidisciplinary project drawing on the full range of the library’s programs, services, and staff expertise. Coinciding with the 500th anniversary of Martin Luther’s 95 Theses, Religious Change will explore how challenges to religious authority ushered in an age of hope, fear, and anxiety that continues to shape religion, politics, culture, and every other facet of human life. The library will pursue this theme through an array of public programs and digital resources, as well as an exhibition opening on September 14, 2017. Several digital resources are now available online, including a website where users can help transcribe a seventeenth-century “book of magical charms” whose author provided instructions for how “to speak with spiritts”—among other incantations purporting to bridge the natural and supernatural. In addition to the digital resources, a project blog featuring contributions from Newberry curators, catalogers, and other staff members (as well as outside scholars) offers readers behind-the-scenes access while engaging them in conversations about the religious disruptions of the past and their influence on the present. Some of these disruptions predated Luther; but they accelerated after he began empowering people to read the Bible and take control of their own religious lives. Luther’s reformation, fueled by his savvy use of print to reach audiences across Europe, shattered the Roman Church’s monopoly on biblical interpretation. Over time, the innovations in print that enabled Luther so effectively to question the authority of the Church also helped spread religious ideas and Scriptural interpretations he found surprising, troubling, and even dangerous. Religious Change is the first of two large, Newberry-wide research projects made possible by a $1.16 million grant from The Andrew W. Mellon Foundation. Planning for the second initiative, revolving around the question What is the Midwest?, will begin in the fall of 2017. In integrating these themes into public programs, exhibitions, digital resources, adult education seminars, conferences for scholars, and professional development programs for teachers, the Newberry is working to forge new connections among its community of learning, facilitating wide-ranging investigations that yield thought-provoking questions and exciting discoveries. The Newberry Library, open to the public without charge, is an independent research library dedicated to the advancement and dissemination of knowledge, especially in the humanities. The Newberry acquires and preserves a broad array of collection materials relating to the civilizations of Europe and the Americas. It promotes and provides for their effective use, fostering research, teaching, publication, and life-long learning, as well as civic engagement. In service to its diverse community, the Newberry encourages intellectual pursuit in an atmosphere of free inquiry and sustains the highest standards of collection preservation, access, and services. Medievalists.net will be following the progress of this project throughout 2017, and will feature several members of the curatorial team in The Medieval Magazine. Subscribe now to stay up to date on all the action!